What if my dentist hasn’t sent my child to the orthodontist? - A.B.S.C. You don’t have to wait for your dentist to refer your child to an orthodontist. Parents are often the first to recognize that something is not quite right about their child’s teeth or their jaws. A parent may notice that the front teeth don’t come together when the back teeth are closed, or that the upper teeth are sitting inside of the lower teeth. They may assume that their dentist is aware of the anomaly, and that the dentist will make a referral to an orthodontist when the time is right. A referral might not happen if the dentist isn’t evaluating the bite. American Braces & Smile Center don’t require a referral from a dentist to make an appointment with them. Dentists are looking at the overall health of the teeth and mouth. He/she could be looking at how well the patient brushes and flosses, or if there are cavities. While dentists look at the upper and lower teeth, they may not study how the upper and lower teeth make contact. Orthodontists are looking at the bite, meaning the way teeth come together. This is orthodontists’ specialty. Orthodontists take the upper and lower jaws into account. Even if teeth appear to be straight, mismatched jaws can be part of a bad bite. The AAO (American Association of Orthodontics) recommends children get their first check-up with an orthodontist no later than age 7. Kids have a mix of baby and permanent teeth around age 7. AAO orthodontists are uniquely trained to evaluate children’s growth as well as the exchange of baby teeth for permanent teeth. Orthodontists are expertly qualified to determine whether a problem exists, or if one is developing. American Braces & Smile Center orthodontists often offer initial exams at no (or low) cost, and at no obligation. 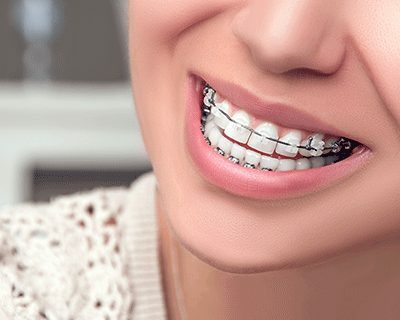 When you choose an American Braces & Smile Center orthodontist for orthodontic treatment, you can be assured that you have selected a highly skilled specialist. Orthodontists are experts in orthodontics and dentofacial orthopedics – properly aligning teeth and jaws – and possess the skills and experience to give you your best smile. Click here to schedule your free no-obligation orthodontic consultation today. Visit an American Braces and Smile Center orthodontist in Woodbridge VA and Ashburn VA.